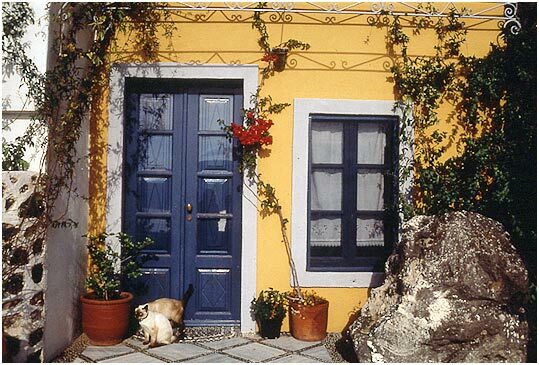 LAVA OIA'S consists of 6 traditional houses. Each one can accommodate 2-4 persons, with bedroom, living corner, equipped kitchenette, mini bar, bathroom, direct telephone and a southeast open-air terrace overlooking the caldera, the volcano and the Aegean sea. LAVA OIA'S is situated on Oia's caldera, next to the main car road, a short walking distance from village services and center and yet in a quiet area. LAVA OIA'S is recently restored by the architect owner, with care for special quests who yearn for sun, privacy, tranquillity and romantic view for ..."honeymooners". 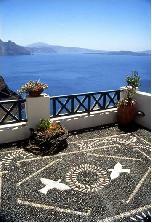 Olympic Airways in cooperation with our hotel offers to our guests special prices for their trip to Santorini. You can order your tickets by phone or by e-mail direct to Olympic Airways in Santorini. Lava Oias is open from 15 March through 15 November and upon request during winter. Είστε ιδιοκτήτης ή διευθυντής στο LAVA OIAS; Εγγραφείτε τώρα για δωρεάν εργαλεία, που μπορείτε να χρησιμοποιήσετε για να βελτιώσετε την καταχώρησή σας και να συνδέσετε την ιστοσελίδα σας και το σύστημα κρατήσεών σας.